What warnings must the police give you when they arrest you and place you in custody? The police must give you so-called Miranda warnings, which consist of you telling you several things: (1) that you have the right to remain silent and that anything you say can be used against you in court; (2) that you have the right to an attorney even if you cannot afford an attorney. The police must “Mirandize” you before they interrogate you, meaning that they must inform of the right to remain silent and the right to an attorney. 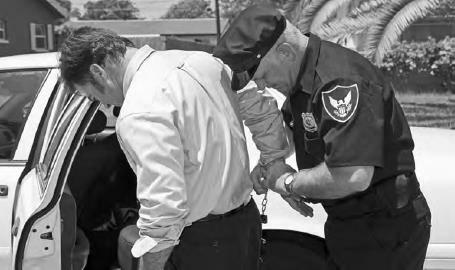 Oftentimes, if the police fail to give a suspect his or her Miranda warnings, then any subsequent confession cannot be used against the suspect. Being arrested means you are being detained, not necessarily that you are guilty. Police must read you your Miranda warnings, which explain your rights to legal representation and that anything you say can be used against you in court (iStock).